Pfungstädter. 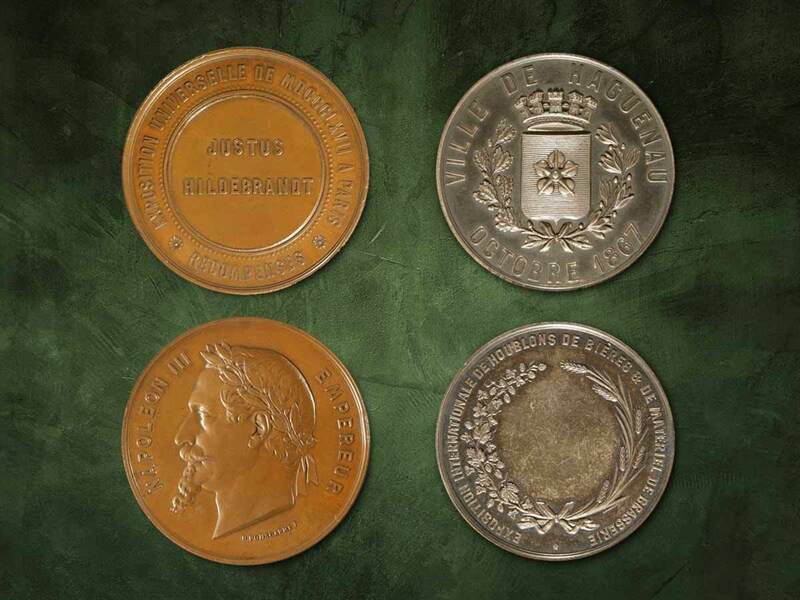 The beer makers: our history. Good beer is made with good people and lots of passion. 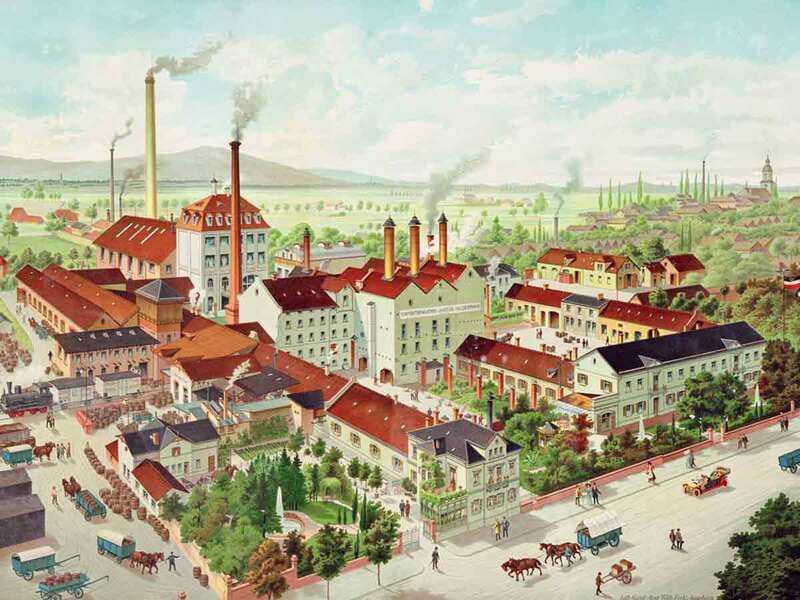 Justus Hildebrand founds the Pfungstädter brewery. 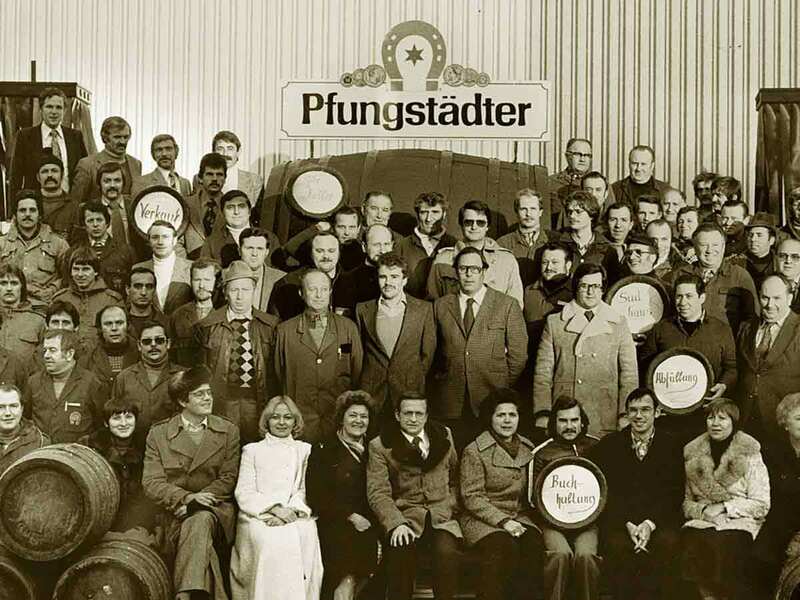 Without our first beer maker, we would not be here today to celebrate a Pfungstadt beer tradition lasting over 180 years. 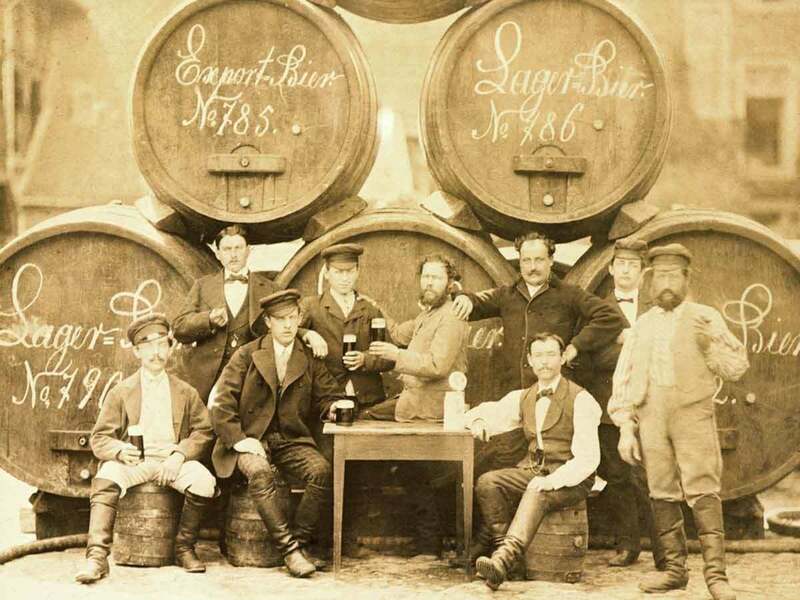 Already in the first few years of the brewery, Justus Hildebrand realised that a strong team is the most important ingredient for successfully brewed beer. Pfungstädter beers for the whole world. This is the point in time in which our beer began to be exported to Africa, America, Australia, China, the Middle East and, of course, within Europe. Construction of our first malt house. Even then, it was important to use and process first-class, regional ingredients for our beer. This principle still applies today. Our first ice machine is assembled. Good beer is best enjoyed cold – but good refrigeration is also needed for the production. 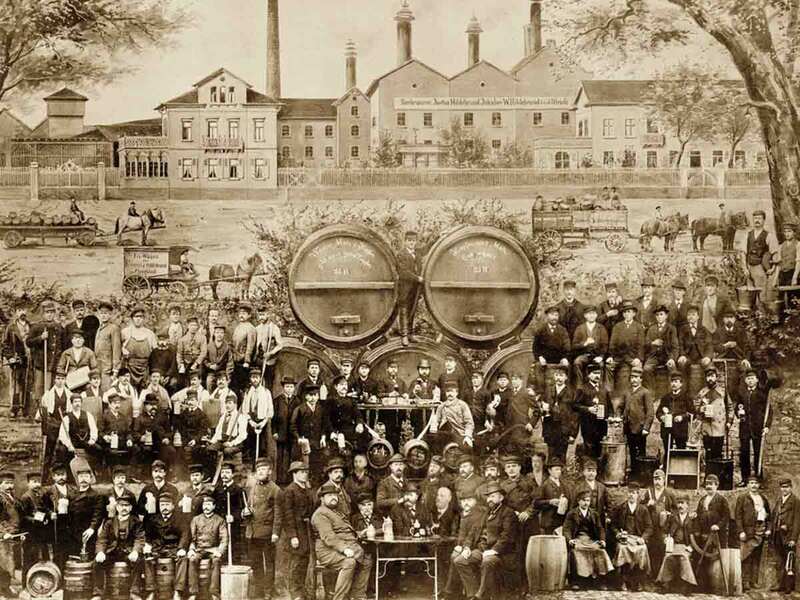 With the assembly of the first ice machine, the number of beermakers also increased. Sites in Berlin, Kassel, Hannover and more. 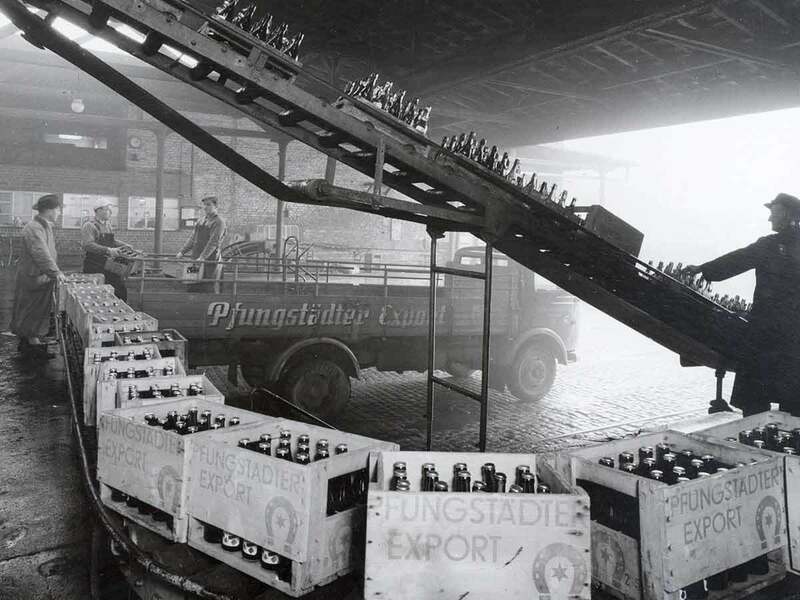 With the growing success of the Pfungstädter brand, more points of sale were needed all over Germany, in order to supply the many new customers on time. Construction of the Pfungstädter brew house. Our historical brew house still forms the centre of our brewery. Automation of filling and bottle cleaning. 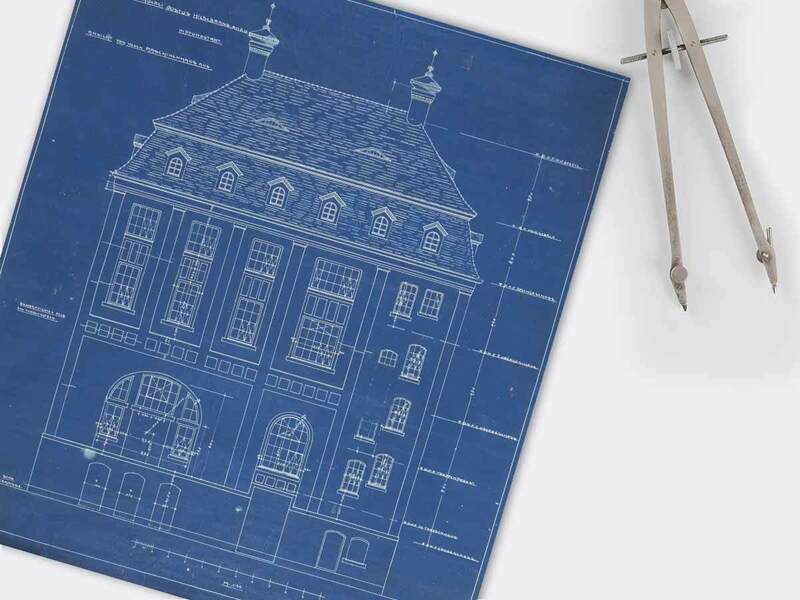 Innovation has always been top priority at Pfungstädter. Expansion of the loading hall and storage facility. Lots of good beer needs lots of good space. With our new storage hall, not only were we able to store more beer, but we could also load and unload our delivery vehicles more easily and more quickly. 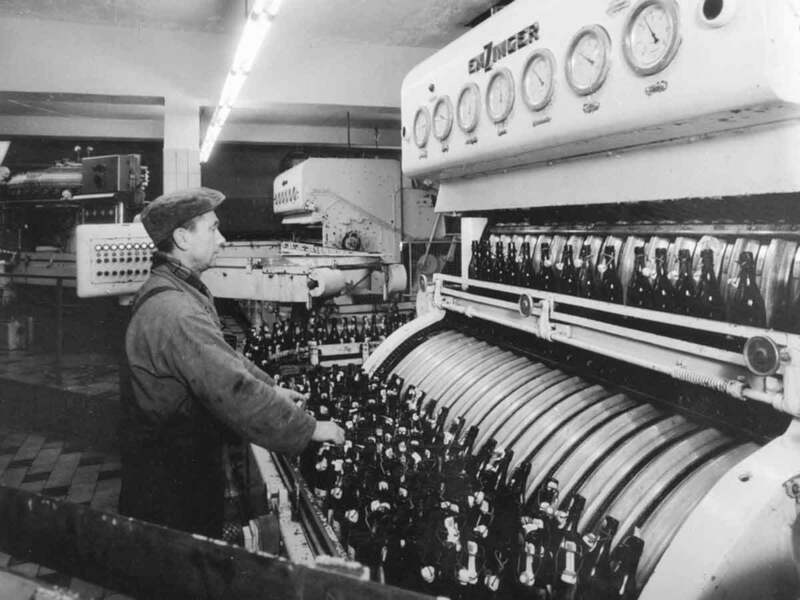 The beer makers in the 70s. Hardly anybody wore a moustache better than our dedicated beer makers during the disco era. 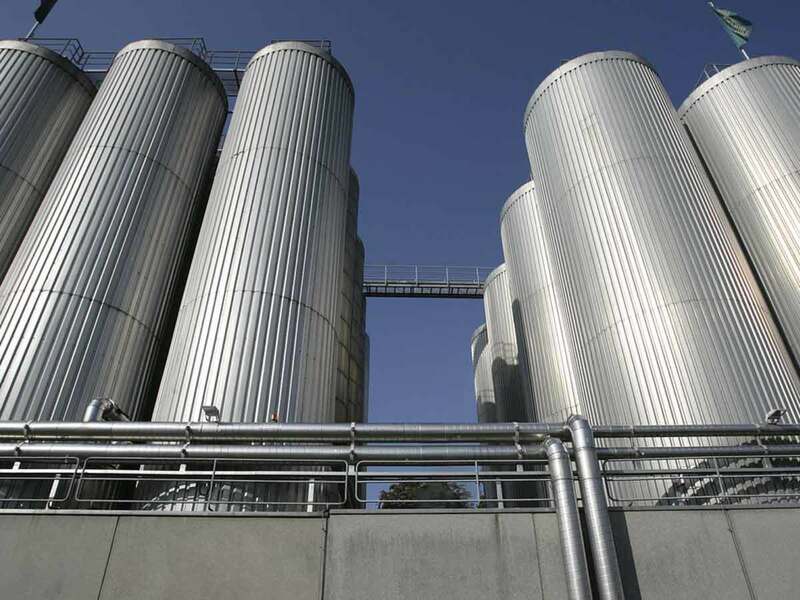 Construction of fermentation and storage tanks. A good beer needs to mature to become a premium beer. Relaunch of the brand presence. With the introduction of the new brand presence, our products received a new and unmistakeable trademark – the typical green bottle. Start of our own wheat brand. 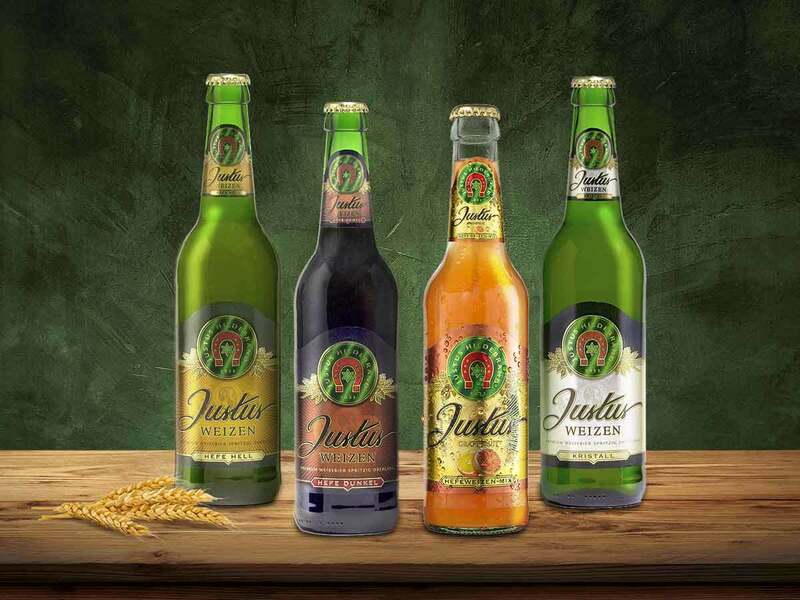 In honour of our founder, our various wheat beers were named “Justus”. Wheat beer fans were then able to enjoy a Pfungstädter as well. Our first filling system for five-litre party kegs. We Hessians know how to throw a party. Since 2013, our new five-litre party kegs have been enhancing countless large and small parties with delicious beer. SV Darmstadt lager with an extra gulp. 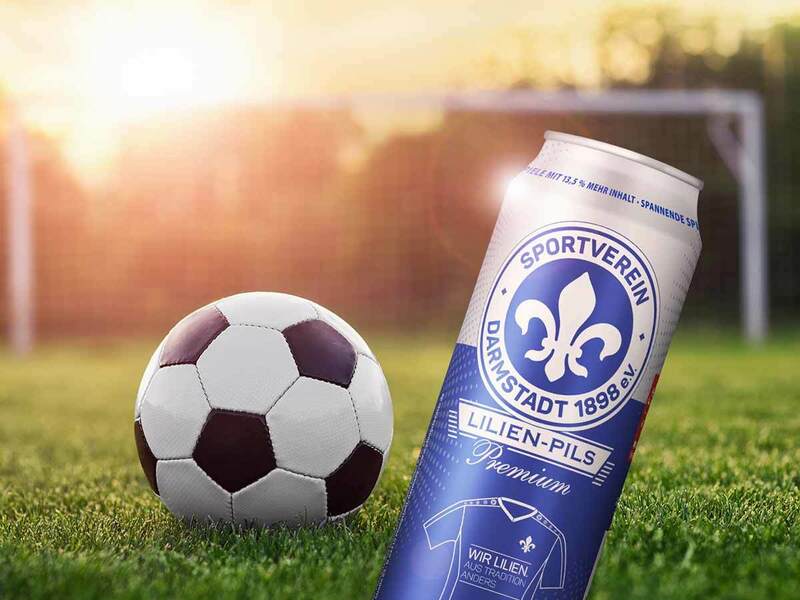 A must for every SV Darmstadt fan – our 0.568-litre can with an extra gulp has been a total success since the promotion of the team to the 2nd Bundesliga in 2014, and its promotion to the 1stBundesliga in 2015. Shandy is as much of a part of summer as a good trip in the outdoors. 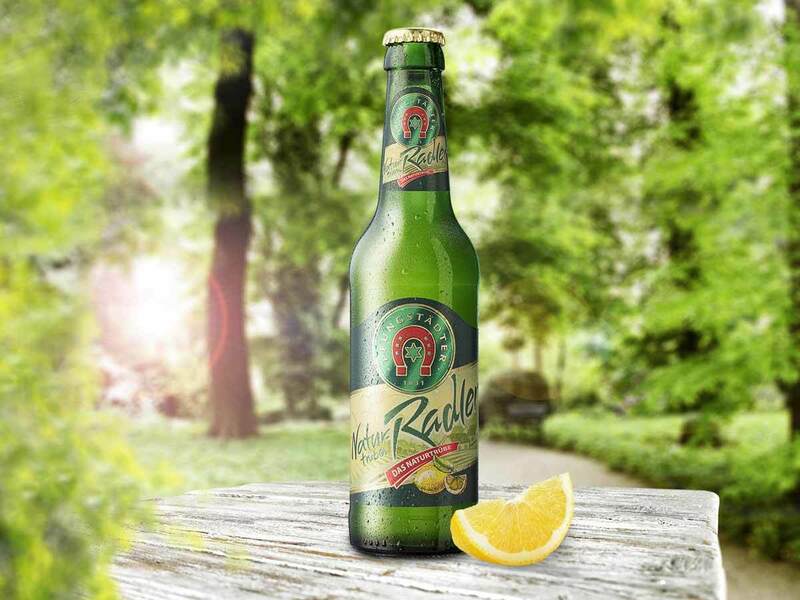 Our naturally cloudy Radlershandy has a captivatingly crisp freshness and a pleasant touch of malt. The perfect addition to the rest of the product range. 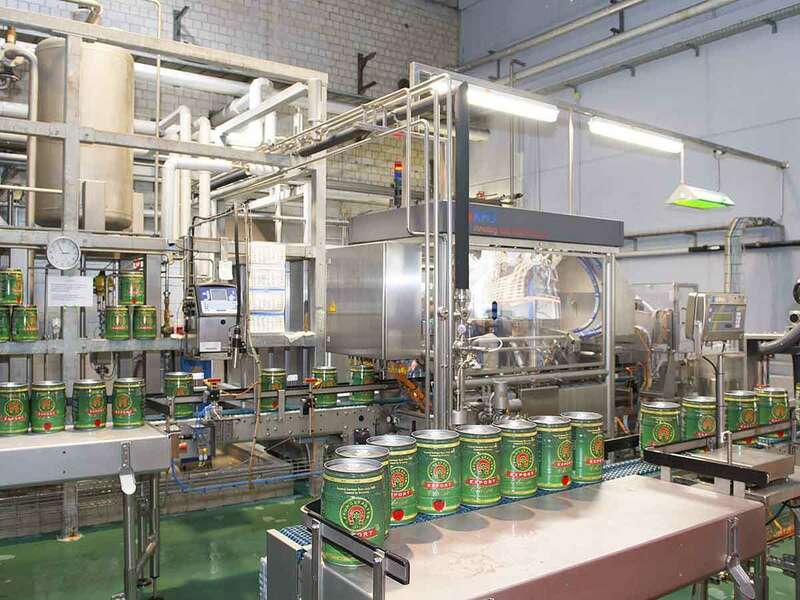 Brewed soft drinks arrive – with zero beer. Our malty soft drinks are a delight for young and old. 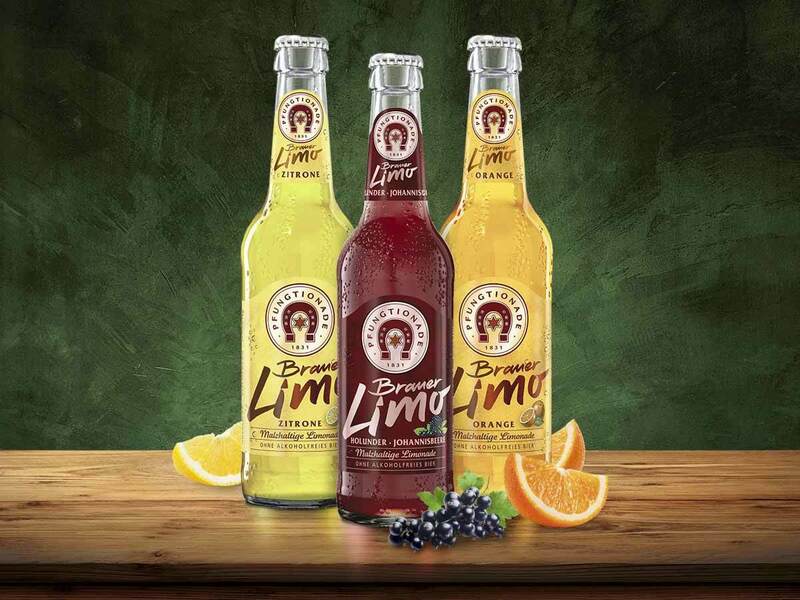 The three types are completely non-alcoholic and form a fruity, delicious alternative to our range of beers. Introduction of the specialty beers. The beer makers expanded their range with specialty beers. 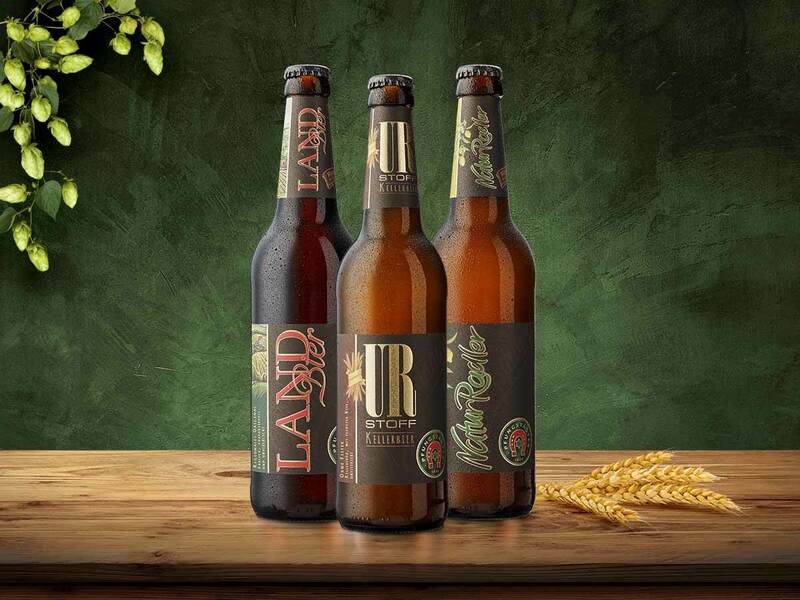 A passion for brewing and high quality standards resulted in the cloudy Urstoff, the full-bodied Landbier, and the crisp, fresh Natur Radler. Addition to the specialty beers. The addition to our specialties was our response to the desire for specialty beers. 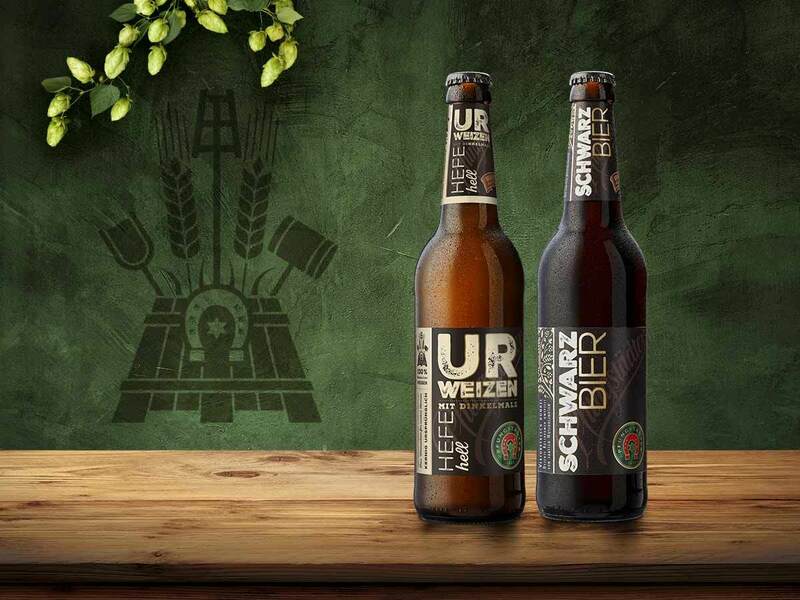 The UR Weizenwith spelt malt from Hessen, and the dark Schwarzbierwith malty roast aromas, are a welcome enhancement for all beer connoisseurs. Allow us to introduce ourselves: We are the beer makers. Good beer is brewed above all with passion. 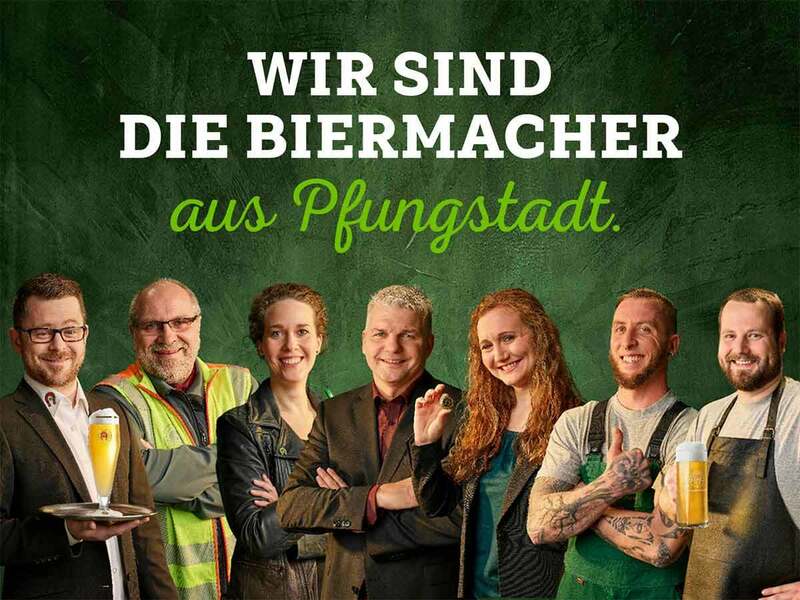 Our employees are the core of the Pfungstädter brewery. Master brewer, warehouse manager or trainee – each day, we beer makers work with passion for the pleasure of our customers. 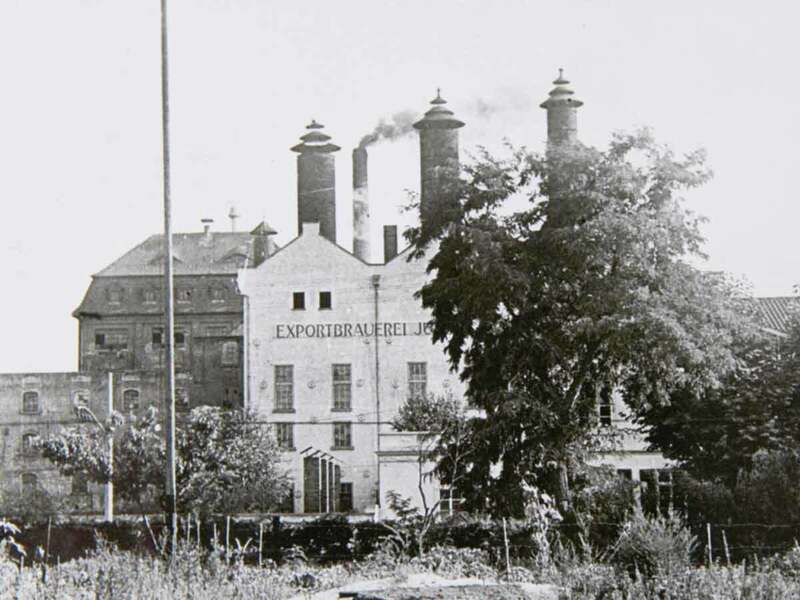 Special moments and powerful images – the history of our private brewery. The story of our brewery starts with an inn: In 1831 in Hahn, Justus Hildebrand opened “Zum Hirsch”, with its own brewery. Word soon spread that one could get an exquisite beer at the “Hirschen”. However, Justus Hildebrand quickly realised that he needed deep, cool cellars to produce the bottom-fermented beer he preferred, and that he could not build these in Hahn due to the high ground water level. 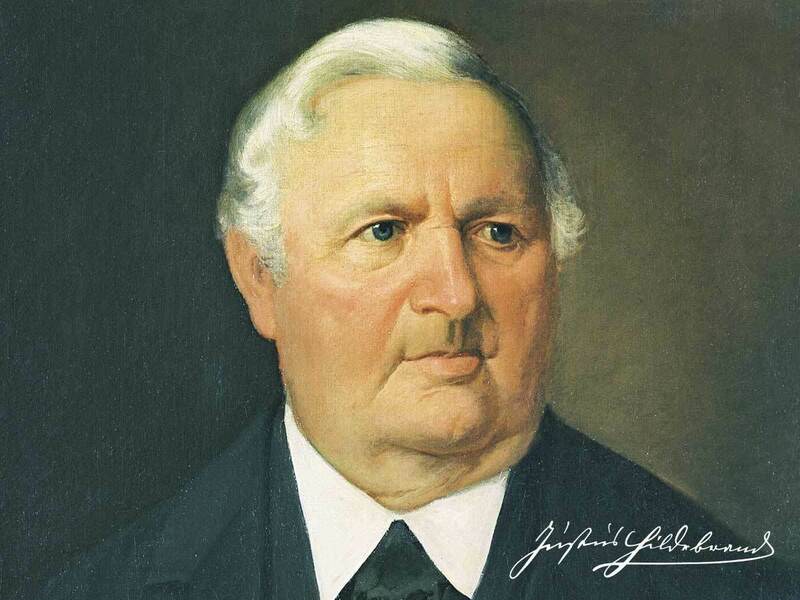 As a result, he and his brewery moved to Pfungstadt in 1846, and production was increased to around 200 hectolitres. 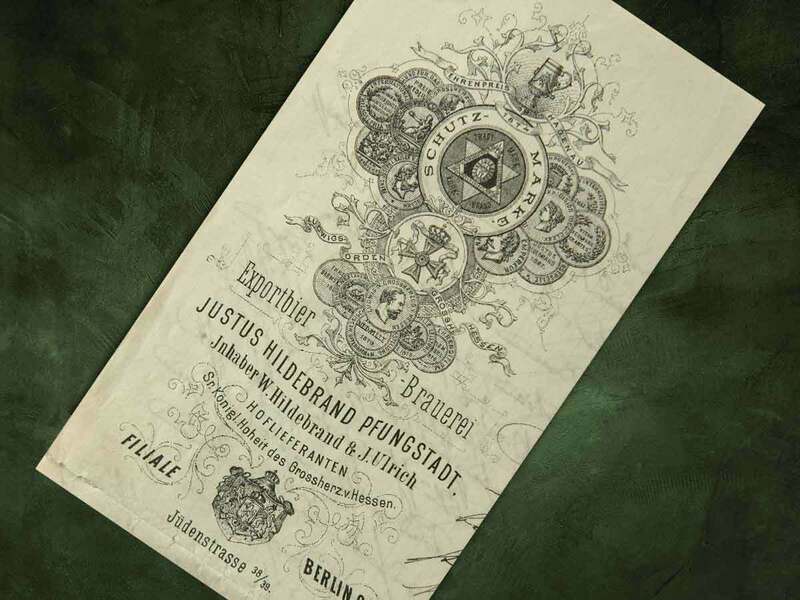 The growth of the brewery made further investment and expansion necessary: Due to the high demand for malt, in 1868 Justus Hildebrand constructed his own malt house on the premises, and a few years later purchased one of the first ice makers available in Germany. It was run using a powerful steam engine, which can still be seen today in the brewery’s historic machine house. 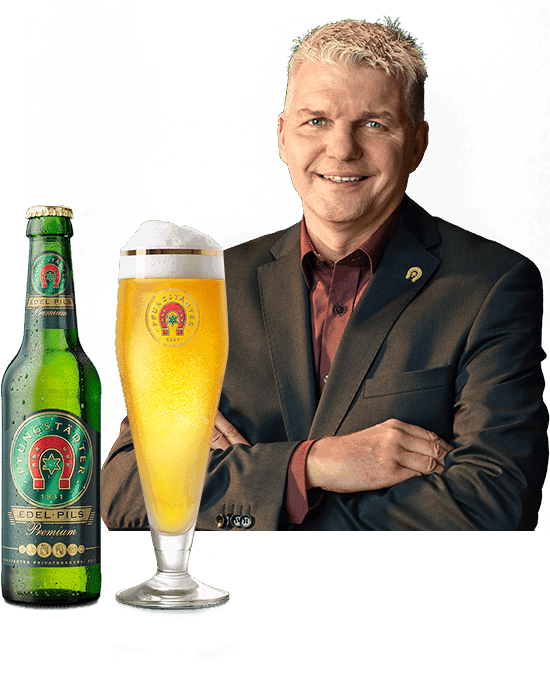 Its beer quickly made the brewery nationally famous – there were sales outlets all over Germany, and even branches in Berlin, Hannover and Kassel. 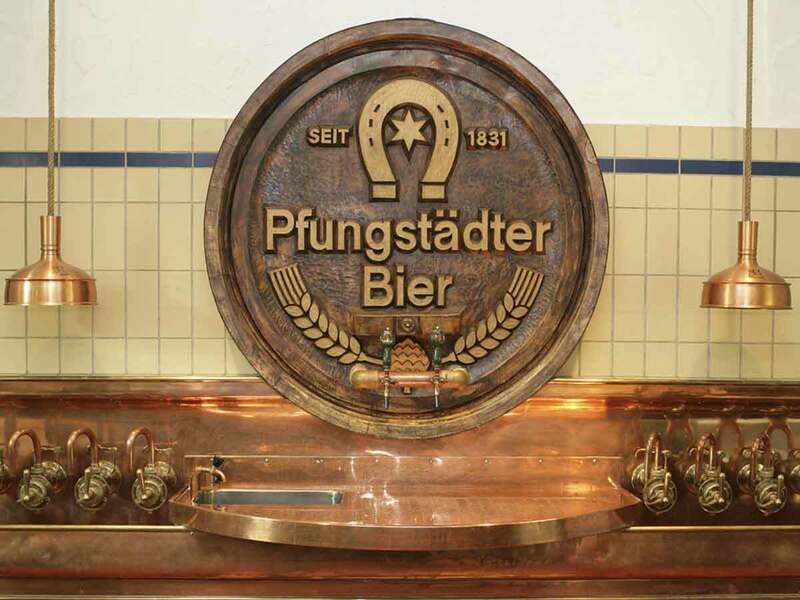 Internationally, the “Pfungstädter pilsner-style beer” won numerous awards and was exported to many countries. In the following years, the brewery’s beer output increased and the company continued to grow. By then, there were 99 employees, for whom the company founded its own company health insurance scheme in 1884. Soon after, the company had its own rail connection, in order to dispatch the beer for export more quickly. Regionally, the beer was delivered by horse and cart – and sometimes there were up to 50 cart horses being kept in the brewery. 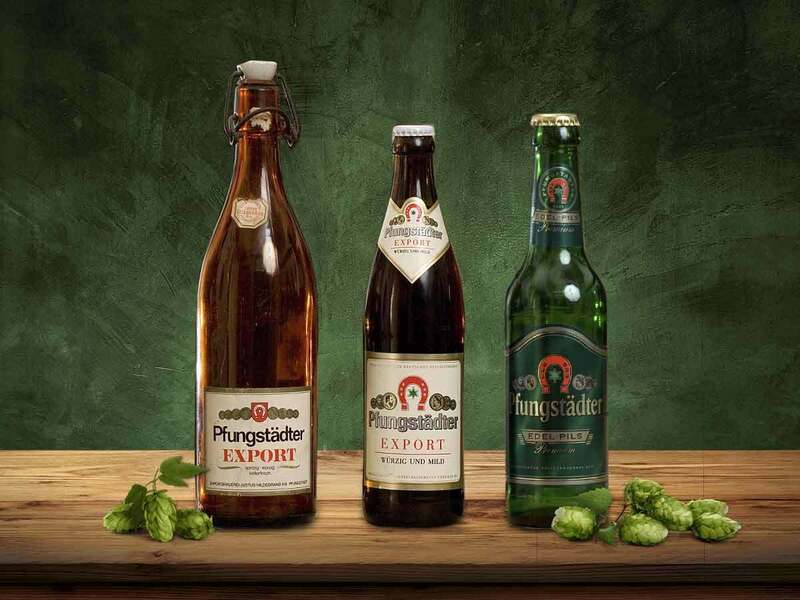 Over the course of the Pfungstädter brewery’s 180-year history, many things have been newly developed – numerous delicious beer specialties and beer mixes, which amaze the taste buds of many a beer connoisseur. However, one thing has remained the same: the old-fashioned recipe for the crisp, fresh Pfungstädter beer, passed on down the generations from master brewer to master brewer. Following the tradition of Justus Hildebrand to a tee.